Troop transport on way to Kwajalein from Hawaiian Territory. Larger Pic. Picture, George Smith. Picture taken from transport off Kwajalein Atoll. 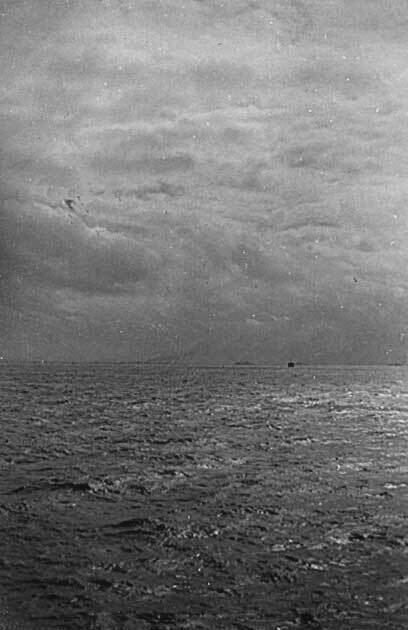 Atoll barely visible on horizon. A heavy barrage hit the atoll before troops were sent in.Smoke can be seen rising in center-left of picture. Picture, George Smith. Larger Pic. Unexploded Jap bomb in crater. There were many of these duds on the island. Picture, George Smith. Larger Pic. What is left of fuel storage tanks. Photo taken by George Smith. Click here for larger pic. Makeshift 49th Artillery Batallion HQ on Kwajalein. Picture, George Smith. Larger Pic. 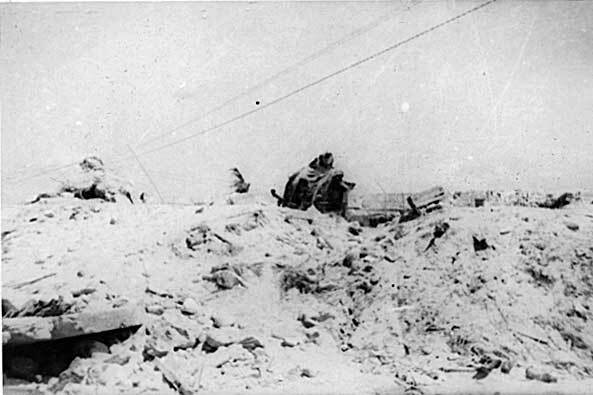 Wreckage of buildings on Kwajalein after intense fighting and artillery. Photo taken by George Smith. Larger Pic. 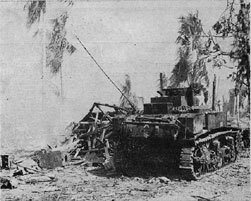 Light tank fires at Jap position on Kwajalein Island as the 7th Division moved in during recent brilliant campaign. Bitter fighting blasted the Japs. Mortars were important weapons in the fight for Kwajalein. Almost every inch of the island presented scenes of destruction such as presented here. Action right in the foxholes and trenches was photographed as the battle raged. Infantrymen of the 7th handle machine guns. Feels real good to capture the atoll after intense fighting. Pillbox in background with prisoner surrendering during battle. Operation Flintlock. From Jan. 30 to Feb. 5, 1944, the atoll was a battlefield where U.S. troops stormed beaches and fought their way through bomb- and shell-ravaged jungle and bunkers. WHEN soldiers and marines hit Kwajalein's beaches, they were backed by a massive naval and air bombardment intended to knock out Japanese fortifications. 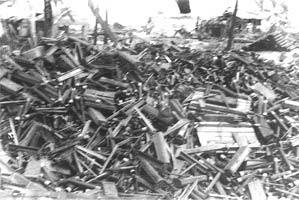 Near the islands of Roi and Namur, Navy ships laid a nonstop barrage of 2,655 tons of ammunition. 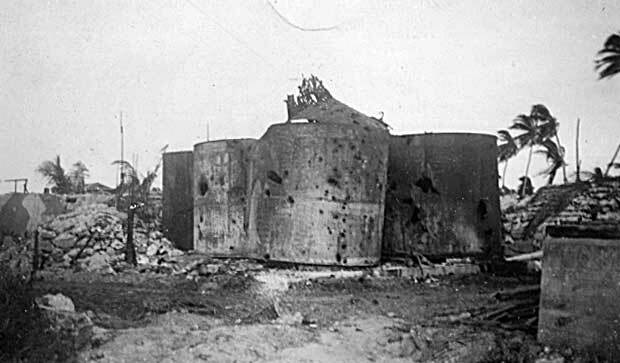 A regiment of 75mm and 105mm howitzers bombarded the islands from five nearby islands. Marines hit the beaches at 11 a.m. and faced relatively light resistance on Roi, but stronger defenses on Namur. Meanwhile, near Kwajalein, Navy ships fired 7,000 shells into the island's defenses on the morning of Feb. 1, alone, not counting the heavy bombardment days before the attack. Navy aircraft flew 96 sorties over Kwajalein before H-Hour. 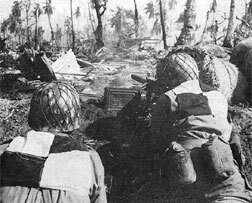 Forty-eight 105mm howitzers and several 155mm howitzers bombarded Kwajalein from nearby Carlson Island, sending in more than 29,000 shells. As the bombardment ended, 1,200 soldiers landed on the west end of Kwajalein without a casualty. 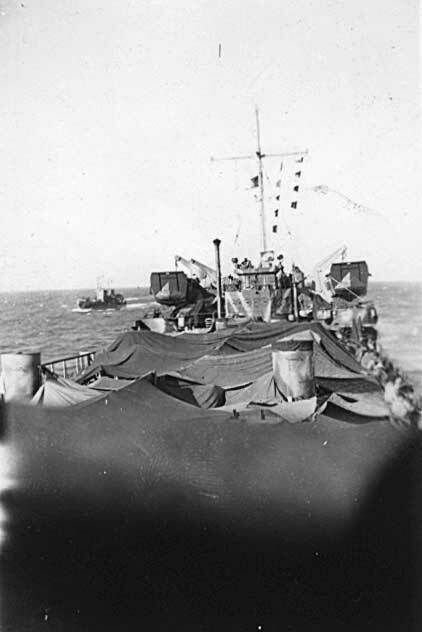 Units advanced 1,800 yards up the island before the end of the day, losing 17 dead and 46 wounded, while killing 500 Japanese and capturing 11 more. 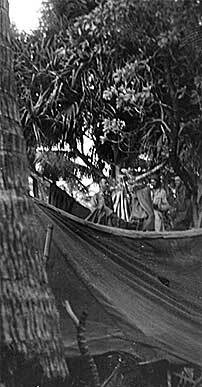 As soldiers advanced on Kwajalein, they faced stiffer resistance. The surviving Japanese had recovered from the heavy shelling and began organizing a defense along the front lines. The Japanese also conducted late-night counterattacks, and individual defenders tried to infiltrate the American lines. The fighting over the next three days quickly deteriorated into small-unit actions, as soldiers sought out snipers and attacked heavily defended bunkers and buildings. As they neared what is now Kwajalein's "downtown," the Americans faced a whole complex of fiercely defended Japanese buildings. On day three, shortly after sunset, Japanese soldiers charged American lines near what is now 6th Street. The attackers were cut down to the last man. By the fourth day, troops advancing oceanside reached Bunker Hill, which was the end of the island at the time. At that point, organized resistance ceased and a day of mop-up operations began. Roi fell quickly, but the Japanese had well prepared Namur for attack. The action was further complicated as marines mistakenly destroyed a blockhouse used as a storage building filled with torpedo warheads and aerial bombs. The explosion killed Japanese and Americans alike and filled the sky with a towering, thick black smoke. 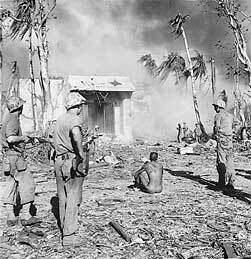 The Marines' 2nd Battalion suffered more than half of its total casualties in that one explosion. 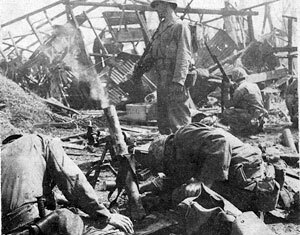 On Kwajalein Island, 845 Americans were wounded in action. When possible, the wounded were evacuated to the rear and then transported to hospital ships offshore and in the lagoon. Soldiers took the greatest number of casualties on the second and third days after the invasion -- 244 and 255 wounded, respectively -- as they encountered stiff resistance in bunkers and heavily defended buildings. Marines on Roi and Namur islands recorded 547 wounded in the 24 hours of action. 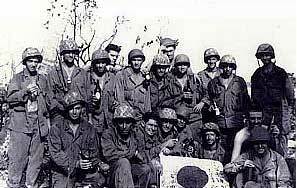 On Kwajalein, the 7th Infantry Division lost 142 dead and two missing in action. Estimates put Japanese losses at 4,938 dead, with 206 more taken prisoner, including 127 Korean laborers. On Roi and Namur islands, 190 marines died. The enemy lost 3,472 dead and 51 prisoners of war. The victory at Kwajalein Atoll could hardly have been more complete. It marked the first time U.S. troops had taken prewar Japanese territory, and it established another key American base in the Central Pacific. This presence helped lead to the isolation of the Bismarks, Solomons and New Guinea. Furthermore, many Japanese positions were bypassed as a result of the success at Kwajalein Atoll, allowing U.S. forces to concentrate on other targets, including successful assaults on the Philippines and Marianas.